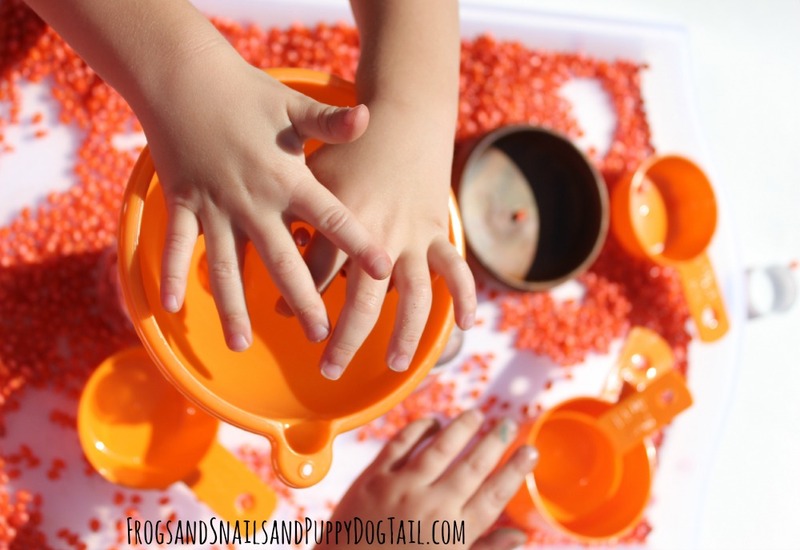 We love Fall inspired sensory play over here. 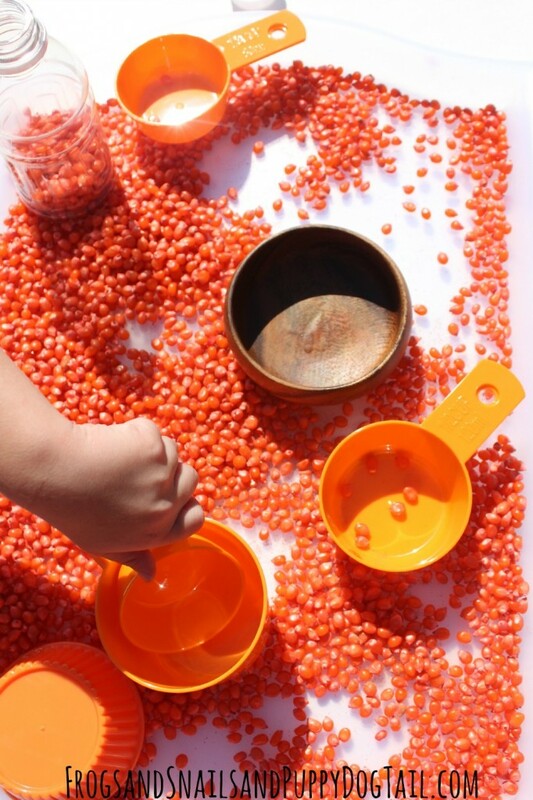 Even more the fall scented sensory play activities. I love the smell of apples and pumpkin spice. 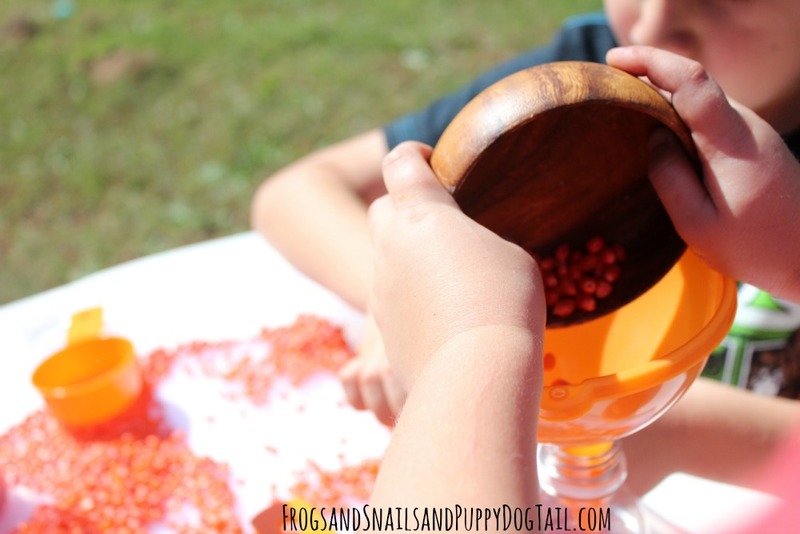 I was searching for a simple sensory play activity for the kids that had a fall theme. I ended up with pumpkin spice kernels for playtime. 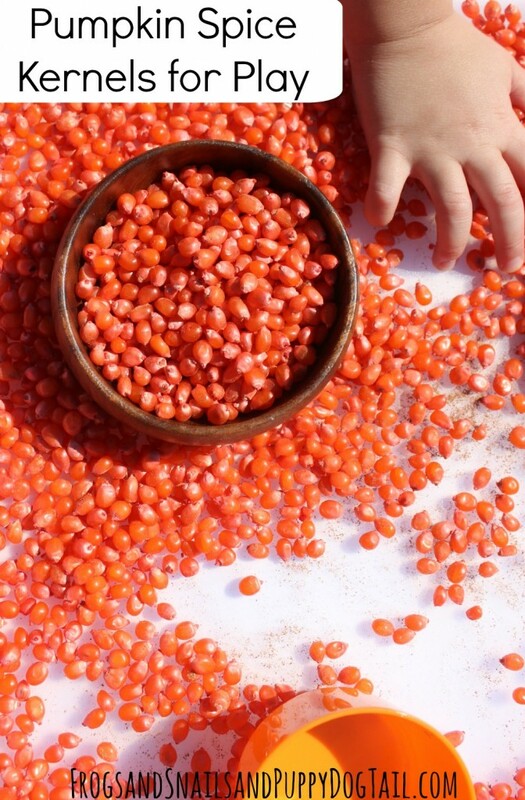 The kids loved the texture and scent of our kernels. We had a nice afternoon outside playing together. 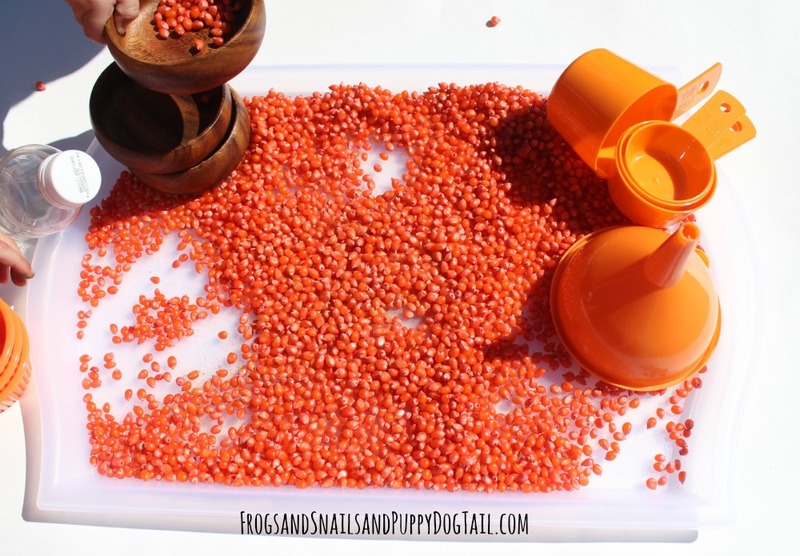 orange corn kernels (unpopped popcorn)- we followed Fun A Days direction on how to dye them. Once the orange kernels were on the tray I added a few sprinkles of pumpkin spice. Now we had an amazing scent to take in during playtime. I grabbed the funnels, measuring cups.. and we headed outside. This is a great hands on way to play and learn. This is a wonderful sensory experience with sight, touch, and smell. This is great for fine motor skills. This was great for problem solving. I gave the kids the items and did not tell them how to get the kernels in the bottles or bowls. They had to figure out what worked on their own. And most of all it was fun! The sensory bottles were a big bonus at the end of playtime. I saved the leftover pumpkin spice kernels and we hope to play with them again soon. Oh, this looks like a blast! I bet it smelled so wonderful during play.